Environmental toxins and safer skincare weren’t always on my radar, unfortunately. I’ve been really careful about what I put into my body by selecting and eating healthy foods ever since my rheumatoid arthritis diagnosis and I am painfully aware of how the chemicals in processed foods impact my autoimmune disease activity, so it’s ridiculous I haven’t been more careful about what I put into my body through the skincare products I use. 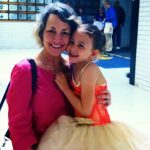 Had I known what was lurking in my favorite soaps, hair gels, and deliciously scented lotions and the harmful impacts they were having on my health, I would have. 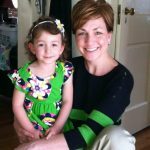 Toxic Sunscreen led to Safer Skincare Choices for us. 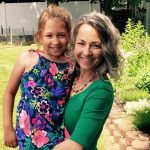 A scary article about toxins in sunscreens and the reactions these toxins have with chlorine brought this issue into focus for me. I was horrified that the products I was using to prevent skin cancer were actually doing more harm than good! I had been hosing my daughter and myself down with sunscreen for years. I had so much guilt but thankfully I found a safe, effective line of sunscreens so I can breathe easily moving forward. I use this and feel so much better about going out into the sun now. From this experience, I went on to read more and learned that the beauty industry is woefully under-regulated. I had no clue. Zero. I figured that buying products labeled as natural would ensure that I was actually buying quality products, but this just isn’t the case: even some of the most well-known and trusted brands. It’s shocking. The following image says it all. Did you know 70% of the chemicals we put on our skin are absorbed into our bloodstream within 26 seconds? Take a minute to look up the products you’re using on Environmental Working Group’s Skin Deep database with their free app. Just use the camera ton your phone to scan barcodes and immediately check the safety of products! I can guarantee you’ll be surprised to learn what’s in items you use and how they can harm your health. The daily products most of us use are filled with endocrine hormone disrupters, heavy metals like lead, chemicals with scientific links to cancer, and more terrifying toxins. It’s a crime, really. Most breast cancers are environmentally linked rather than genetically connected and autoimmunity is on the rise. We all deserve better! 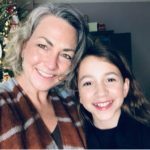 I want to better manage my symptoms and My biggest fear is that my daughter will someday be diagnosed with rheumatoid arthritis or another autoimmune disease so I am a mission to lower the toxins in our home. 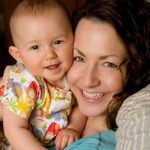 Now I am making a conscious effort to switch to less toxic cleaning products as well as in all of our personal and skin care products to keep my family safe and better manage my autoimmune symptoms. In a different post, I will share how I am tackling the switch to safer cleaning products since the focus here is skincare. 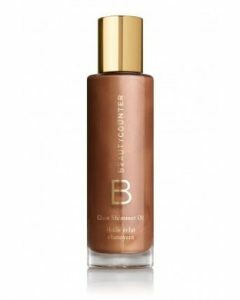 Why Beautycounter? 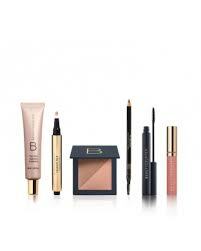 Beautycounter has been the best and easiest way for me to tackle the personal care non-toxic product transition. 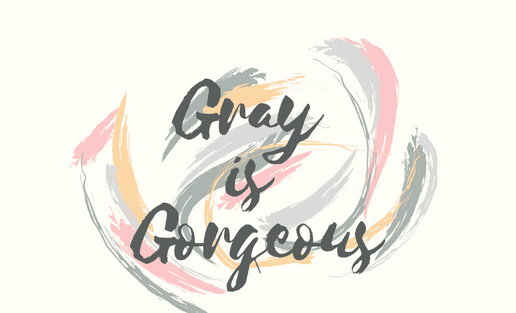 I love their products, and I don’t have to do any research since they have done it already and are completely transparent with their results: I know all their products are safe. And it’s not crazy expensive when compared to other products in the safer skincare realm or department store brands. Also, my daughter, who is fussy about fragrances, loves the shampoo, body wash, and body lotion: win. She was sold, but. . . I worried safer skincare would equal less effective Skincare, but thankfully that is not the case. 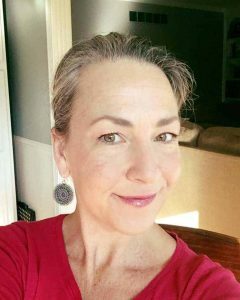 Fine lines, deep wrinkles, super dry, dull skin, redness, brown spots, these are just a few of my skin issues, so as much as I wanted to be rid of chemicals, I was afraid truly all natural safer skincare just wouldn’t cut it but with these products, my skin has actually improved! It turns out the products I was using were making my redness worse. 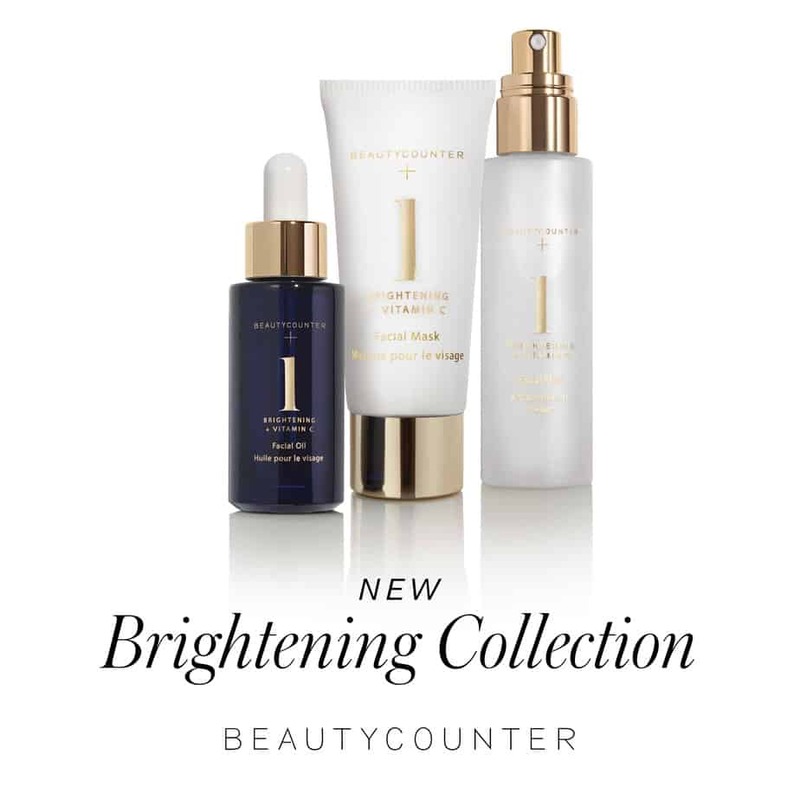 I haven’t found anything I don’t like and actually became a consultant to support Beautycounter in their efforts to change industry standards (and to earn a 25% discount on my safer skin care products so that I could hoard my lotions, serums, and oils without guilt- Ha!) but just using the products for mine and my family’s benefit felt selfish. I need to share this information and these products with everyone I know! We should all be using safe products, right? Ready to start swapping out your toxic products for safer skincare? 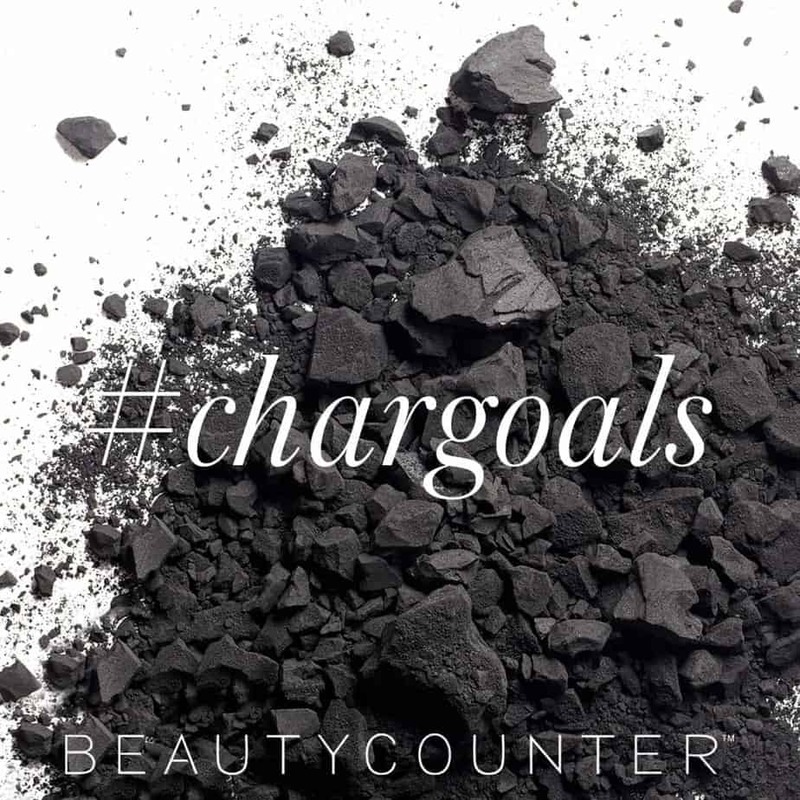 This is the Never List: a list of the ingredients you will never find in a Beautycounter product! If switching to safer skincare all at once seems daunting, start small. 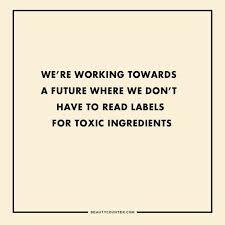 Look-up your most toxic products on EWG’s Skin Deep Database, then prioritize swapping out as your products run out or based on what’s the worst rated and most toxic product you use. 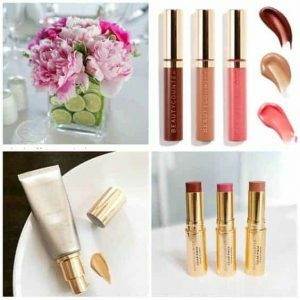 Click here to peruse the products (you will be shopping on my personal website) and get ready to fall in love. Ready to Detox the rest of your Beauty routine? Looking for more ways to swap out even more personal care products, like toothpaste? Read my post, Five Easy Ways to Detox your Beauty Routine, here. Need Help with product selection? I am ready to help. Here’s to safer beauty for all! 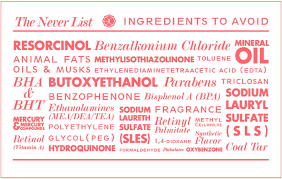 The average woman puts anywhere from 200 to 500 synthetic ingredients on her body every day! I’ll show you how to detox your beauty routine by ditching the chemicals with 5 quick, simple changes. I wasn’t really aware of just how toxic these chemicals are until recently. 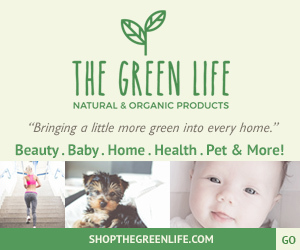 I have spent the past few years scrutinizing my food labels and made the switch to organic cleaning products, all the while slathering on dangerous chemicals from head to toe: chemicals that cause cancer and interfere with hormone production and immunity (like I need any more problems with immunity). If you detox your beauty routine you’ll be doing yourself and your immune system a tremendous service. We are exposed to toxins all day long. They are in everything from our tap water to food, to our furniture and flooring. It’s impossible to escape them all. So why bother with a beauty detox? 60% of what we put on our skin is absorbed into our bodies. If you detox your beauty routine by ditching the chemicals in your beauty products, you can significantly limit your daily exposure. Like me, many people are very aware of the chemicals in foods and strive to improve their diets in an effort to limit chemical exposure (which is awesome! ), but the majority are unaware of dangerous chemicals they use in their daily routines each day. The FDA doesn’t require any pre-market testing or approval before products hit the shelves. 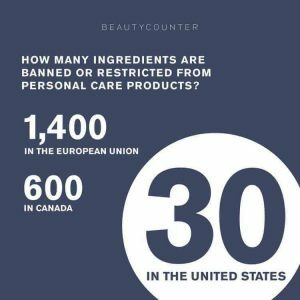 Many of the ingredients in U.S. products have been banned in Europe and other countries. The European Union has banned over 1,300 chemicals found in cosmetics. The FDA (in the U.S.) has only banned eight and restricted three. Isn’t that crazy?? It’s a free market and no safety testing is required until a problem is identified. By then the damage has been done, It seems they would rather pay for lawsuits than for testing trials. This is a $60 billion dollar industry, where these powerful corporations enjoy this freedom. We are basically human guinea pigs for these products containing ingredients that scientific studies indicate could be linked to cancer, reproductive harm, and neurotoxicity. You may worry that a beauty detox will be expensive, but it can actually save you money. This is especially true if you are interested in making your own products, but even if you’re not you can make some significant changes without breaking the bank. As with any products, some are more expensive than others, of course! 1. Replace your face wash with an oil. Yes, an oil. 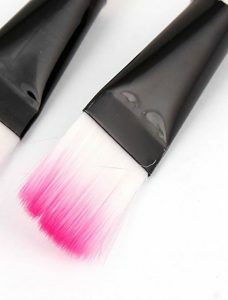 This will also replace your makeup remover, as the oil easily dissolves cosmetics, even mascara. My skin has never looked better since I made this change. Fractionated Coconut oil is the perfect choice for this. 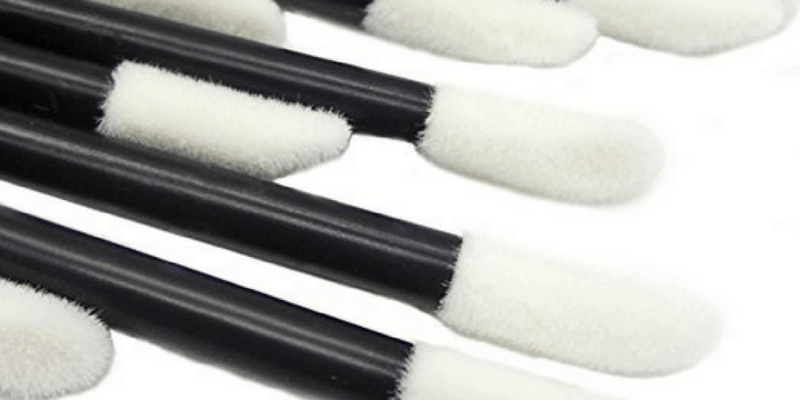 It is odorless, non-greasy, won’t stain, has a long shelf life, and remains liquid at room temperature. It is extremely versatile as well. I also use it as my go-to carrier oil for diluting essential oils, for taming crazy flyaway curls, and in my DIY beauty recipes. Subscribe for immediate access to my FREE resource library and get my directions for the Five-minute Spa Experience: Turn your face-washing routine into a luxurious event and more! 2. Replace your chemical laden toothpaste with a natural alternative. There are so many natural pastes out there, but I really love tooth powders that incorporate clay. I have read that the clays can actually remineralize teeth, which seems like a stretch, but I figure it can’t hurt, anyway. If you are worried about the mouthfeel or taste bad at all. 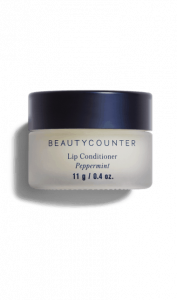 In fact, the one I am currently in love with contains peppermint essential oil, so it is minty and fresh like you would expect. If you are worried about losing the whitening properties of your current toothpaste, I’ve got you covered! I am obsessed with my charcoal whitening powder! It works immediately and better than any whitening toothpaste or gel strips I have tried over the years. You have to be careful when using it because it can stain surfaces and clothing, and it is super gross looking mid brush, but the results are worth it. I use it three times per week. it’s a great way to avoid chemical whiteners and detox your beauty routine. 3. Swap an essential oil or an organic product for your current moisturizer. 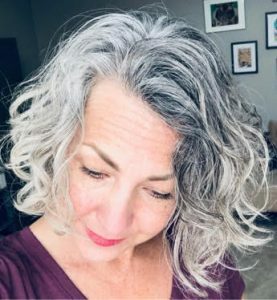 I have mature skin, so I am all about the anti-aging products! This made me worry that I would be missing out somehow if I switched from my chemical-laden favorites, but this proved to be an easy detox. Thankfully I found that I didn’t have to give up the anti-aging properties of my past favorite products. 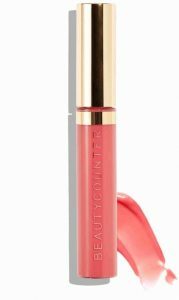 Evening Primrose oil has natural anti-inflammatory, anti-aging properties, and is very affordable, and companies like BeautyCounter make some of my new favorite, all-natural products. I am currently obsessed with my brightening facial oil and eye cream. 4 . Use a chemical-free sunscreen. If you haven’t seen recent articles, it turns out many of the most popular brands of commercial sunscreens contain chemicals that break down into toxic compounds when exposed to light and especially chlorine. Ironically, the chemicals cause skin cancer. Isn’t that we are trying to prevent? I use sunscreen every day (my meds make me extra sensitive) and am one of those moms who hoses my kid down with sunscreen before swimming or running around outdoors, so this information really freaks me out! Again, thankfully there are safe alternatives. I just wish I had sought them out sooner. 5. Upgrade your body Lotion. I saved this one for last as it really is the most important if you consider how much surface area you cover with your moisturizer. I have super dry skin and am a moisturizer addict, so I shudder to think of the number of toxins I have absorbed over the years. Even the baby lotion I used on my daughter contains questionable ingredients. There are many natural options out there, but I am currently in love with Naked Bee Lotion. The lavender is my favorite!! I first discovered it at my sister in law’s house and was delighted when my husband found it at our local hardware store. I wanted to try the different scents, so I was happy to find it on Amazon as well. They have an entire skin-care line, so I am sure I will be branching out to those products soon. I am also loving my new citrus mimosa body butter! I have incredibly dry skin and this body butter is divine! CLICK HERE FOR MORE HELPFUL TIPS AND IMMEDIATE ACCESS TO MY FREE RESOURCE LIBRARY. So as you can see, it’s pretty easy to detox your daily beauty routine by replacing the products you use most often with natural alternatives. Read more about how I broke up with my toxic makeup here! I hope you will find these tips helpful and easy to implement into your current routine. 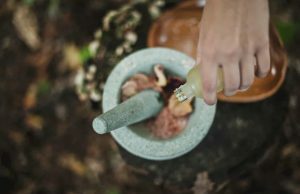 What are your favorite natural products and companies? Be sure to reach out or share with me in the comment section below.